Police found him pale with bloody mucous coming from his nose after his mother called for authorities and tried to perform CPR. Police determined the child was in cardiac arrest and was immediately escorted to an area emergency room where he was pronounced dead on April 2nd. The mother told police she was prescribed methadone due to her addiction to painkillers and she was taking them at the time of the baby’s death. She told them that she primarily breastfed the child but he wasn’t receiving enough milk and had switched to formula three days earlier. The morning the child died, he awoke crying at 3am, she tried to breast feed him because she was too tired to go downstairs and prepare a bottle of formula. The boy was only identified as R.J in court papers and was just 11 weeks old. 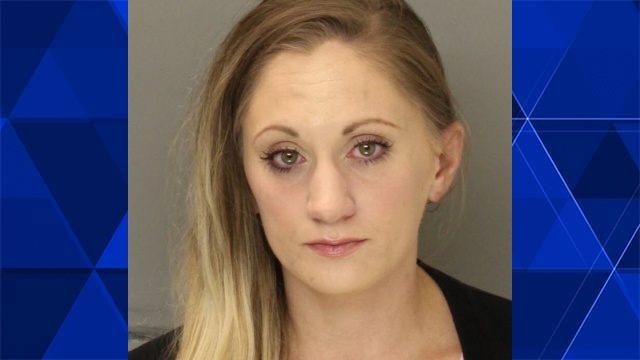 R.J’s autopsy report showed the baby died after allegedly being fed breast milk containing methamphetamine, methadone and amphetamine according to Bucks’ County District Attorney. The couple’s other child, a 2-year-old son is in the care of the boy’s father. The D.A.’s office said in a news release that Jones’ defense attorney argued for minimal bail saying R.J.’s death was not intentional. Despite this plea, Jones is being held on $3 million dollar cash bail. Because Jones currently faces a general homicide charge and the investigation is ongoing, it is possible she could face murder charges that carry a mandatory life sentence. She was also ordered to have no contact with anyone under the age of 18 as well.